Founded 150 years ago, the Protestant Foundation Neuerkerode (ESN) manages as a holding 9 institutions and societies in the health sector and the care for the elderly and disabled people in southeastern Lower Saxony/ Germany. It has a total of 2800 employees. In mid-2018, ZALARIS Deutschland AG was awarded the contract to transfer the complete ERP system for the areas of finance, controlling and personnel into the new SAP System S / 4 HANA. On the one hand, this means optimizing the central business processes in finance and human resources, and on the other hand introducing a workflow-oriented solution with an intuitive interface. In the past 6 months, the internal BI system was also implemented on SAP BW and BO as well as the renewal of the planning process with SAP BPC. At the same time, the SAP recruiting system SuccessFactors was introduced and outsourced by ZALARIS as part of a five-year contract. 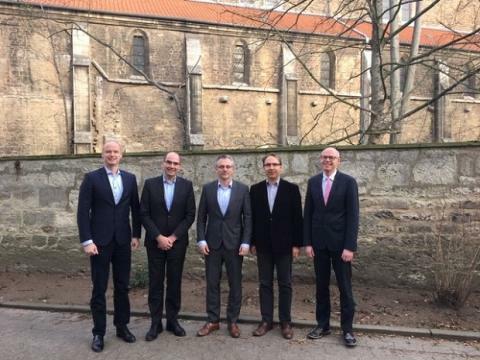 At the same time that the S / 4 HANA system went live, Neuerkerode decided to use another cloud solution from SAP - SF Learning - will be used by ZALARIS for internal training management and in 2019 all 2,800 employees will attend a seminar, that improves cooperation. The planning is done by SF Learning. ZALARIS delivers all necessary SAP licenses for the overall project and also carries out the maintenance of the SAP licenses for the Protestant Foundation Neuerkerode.